day at Boyer Oval last weekend. 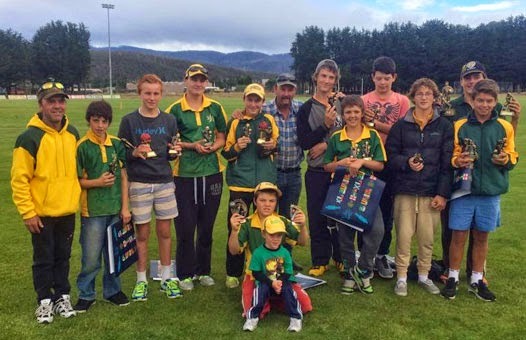 MOLESWORTH junior cricketers held their annual trophy day at Boyer Oval last Saturday. The players had a barbecue and were presented with their trophies at the change of innings of the SCA Second Grade qualifying final between Molesworth I and Montagu Bay. After this they finished their day by cheering Molesworth I to a very good victory. The Gretna Cricket Club's junior trophy day will be held this Sunday at Gretna, starting at 10am. Team photos will be taken and all Under 13 and Under 15 players are asked to be in their cricket uniform.